Weight always seems to be a problem doesn’t it? We feel we are too heavy, too bloated, too fat or occasionally too thin. Most of us worry about our weight at some time in our lives. It may be that you have started piling on the extra pounds because you find certain foods irresistible. Or do you spend most of your life yo-yo dieting? Your issue may be to the contrary and you find yourself under what is generally considered to be a healthy body weight. Whatever your issue regression hypnotherapy can help you to understand your own individual emotional relationship to certain foods. This will then allow you to let go of whatever that need is enabling you to resolve your weight issues. Ideals being imposed on people today are that they are expected to look absolutely perfect. We all know this to be ridiculous and a totally unrealistic standard imposed by the media, but at the same time pressure to achieve this criterion is felt by many. Young people especially often feel pressured to look like idealistic air brushed models and the more they try to achieve this effect the more they become depressed and start to suffer from eating disorders like bulimia and anorexia. We also often hold feelings of guilt that are associated with food. Remember this one? “Eat up. Just think of all the starving children in the world”. The child then grows up feeling guilty if he/she doesn’t finish every single crumb on the plate. How many times does your stomach tell you that it is full but you still have to cram every last morsel into your mouth? We overeat for all sorts of reasons most of these being that we are feeling lonely, upset, unsafe or because we are seeking love or comfort. What is not generally recognised is that we often unconsciously associate a particular food with someone we love. Therefore when we eat that food we are actually trying to recreate how being with that person made us feel. To give you an example here is my own particular compulsion. It was biscuits with tea. As an adult I always ‘had’ to have biscuits with my cup of tea. I was eating far too many biscuits so I decided to take myself into hypnosis in order to find out where this need came from. I saw myself at about seven years old sitting at the table with my father. There was a big round biscuit tin in front of us and we were drinking mugs of tea and dunking biscuits. This was my special time alone with my Dad. The moment I saw the scene I grasped on a level that I had not previously recognized that I was unconsciously trying to recreate those loving happy times that I experienced with my father. I realised that every time I had a biscuit I was trying to get my father back. Now I can easily have a cup of tea without a biscuit because I fully understand that a biscuit is not my Dad! These illnesses are not only extremely distressing for the person experiencing them, but also for everyone around them. Loved ones find themselves feeling totally helpless watching someone they love just wither away in front of them. Anorexia sufferers usually have a deep conviction that the disease is helping them in some way. Therefore they see themselves as having a disease that is their friend and ally. Parents, doctors and therapists are sometimes seen as the enemy since they are trying to take away from the person something the individual truly believes they need. In some cases weight issues go back to a past life. I often find when I do regressions that people who were constantly famished or were starved to death in a past life are often overweight in this life. At that time they probably made a vow stating that when did get food they would make sure that they would eat whatever they liked whenever they liked. All of these things are beliefs that need to be understood and changed. When I work with weight gain issues I use hypnotherapy and ThetaHealing™ in a powerful combination. This way I am is able to get to the root of the problem and also change the beliefs associated with the cause. London Harley Street : £156 for a ninety-minute session. 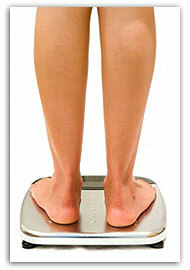 If you are overweight you may also like to consider Gastric Band Hypnotherapy. This is not surgery it is a complete hypnosis programme to make your body believe that you have had a gastric band fitted. For more information please follow this link to my Gastric Band Hypnosis page.